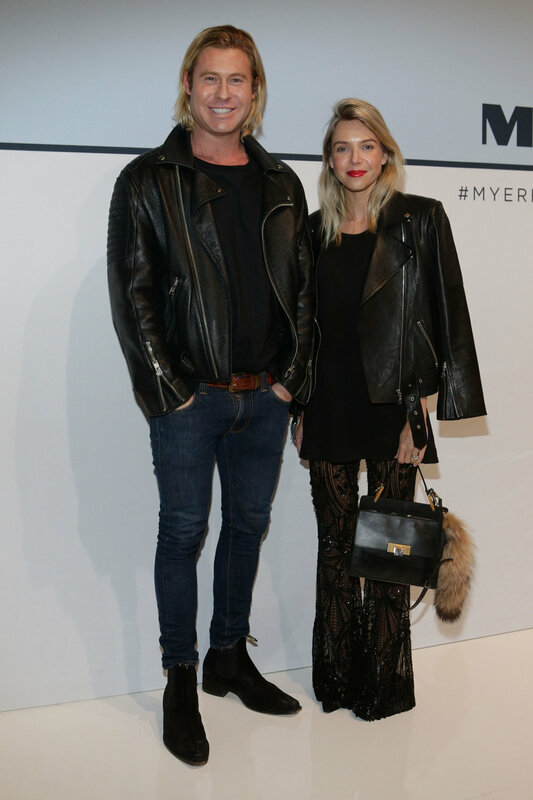 The ‘Face of Myer’ Jennifer Hawkins and ambassadors Kris Smith and Kate Peck launched the Myer Spring Summer 2015 Collections at Carriageworks in Sydney. The spectacular parade showcased 60 models and over 270 new season looks. An eye-popping set featured a canopy of gigantic, silver hand-crafted metal palm fronds that swayed rhythmically above the 40 metre runway – a perfect platform for Myer’s stable of Australian and International designers. Among the 450 guests in attendance were Laura Dundovic, Jodi Gordon, Tom and Hoda Waterhouse, Anna Heinrich and Tim Robards, Jules & Guy Sebastian and Lindy Klim. © 2017 KATE & CO. ALL RIGHTS RESERVED.